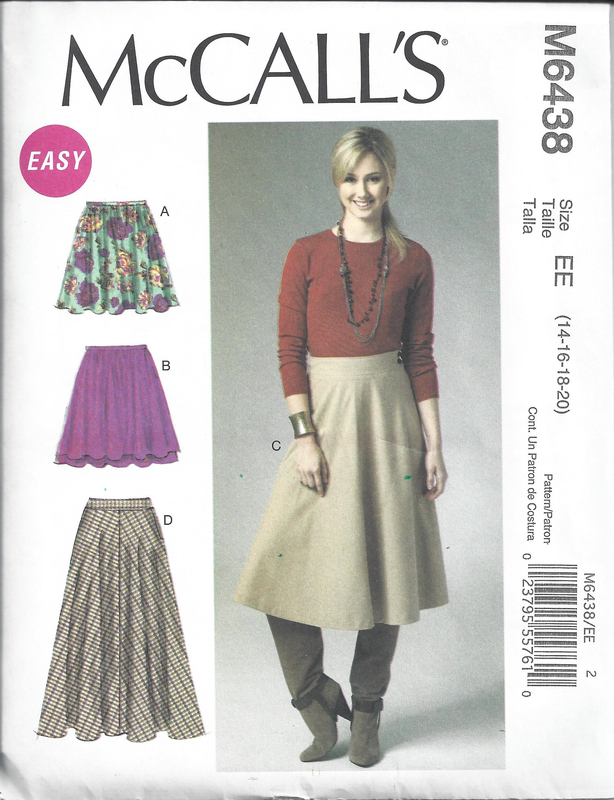 In my quest for the perfect vintage-style skirt for my Separates project, I found McCall’s 6438. A contour waistband, which isn’t strictly vintage but works better on my not-so-hourglass figure. A seam at the center back of the skirt, so I can easly change the skirt to a back closure. The better to add side pockets. To change the skirt pattern for a back closure was just a matter of moving the circle for the zipper end. This looks a little fuzzy primarily because the pattern is under the Swedish Tracing Paper, though truth be told, some of that is operator error with my new camera! Next was redrafting the waistband. The back waistband had the underlap extension on the side, so I used the front waistband for my base pattern. 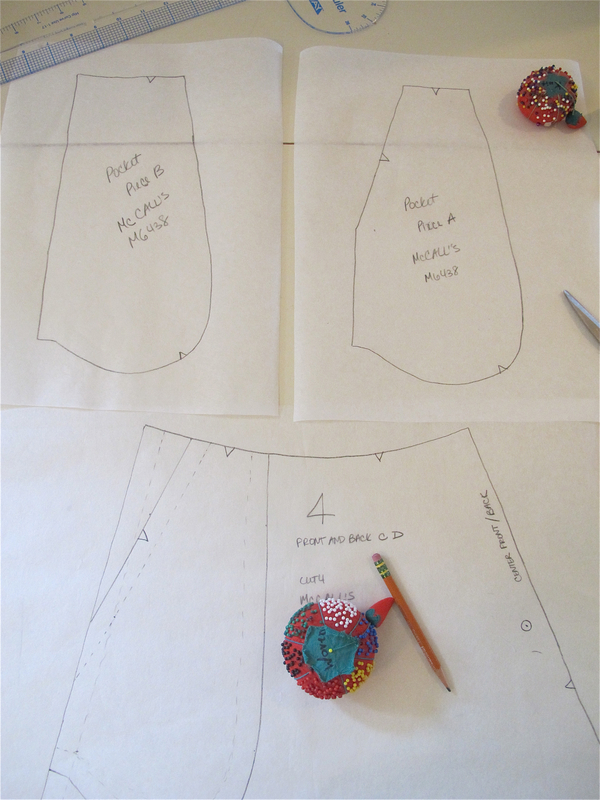 I traced the front waistband pattern to create two back waistband pieces, one with an underlap, one without. I had to add a seam allowance to the center back line for the left side. I added a seam allowance and 1.5 inch underlap to the right side. Overlapped at the center back, the new back waistband pieces are the same size as the front waistband. With that done, I moved on to creating slant pockets. 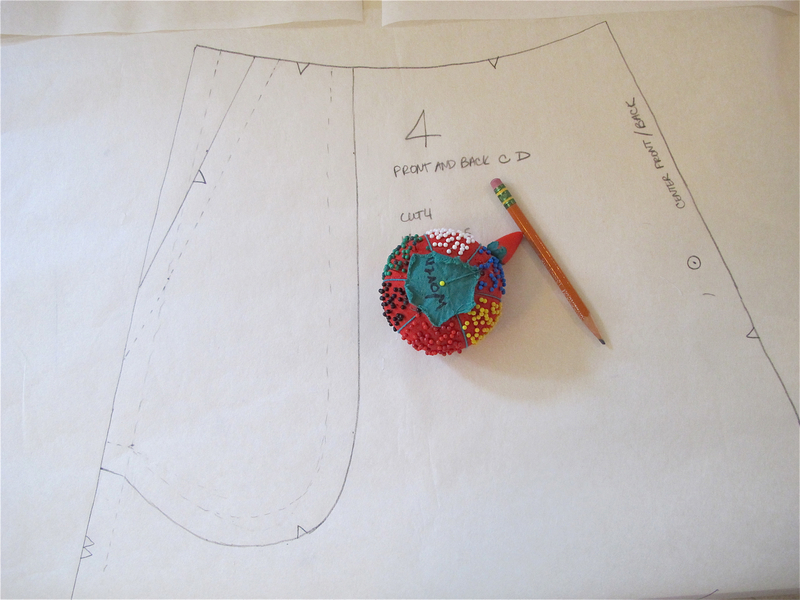 I could have used a piece from an uncut pants pattern, but instead I drew it freehand with a few of the dimensions based on the nicely sized pockets from a pair of ready-to-wear pants with a contour waistband that I have. (Don’t you hate pockets that can’t actually hold anything? I at least want my phone to fit in there.) It was easiest for me to envision if I drew all the lines right on the skirt pattern and then traced those to create the separate pieces. 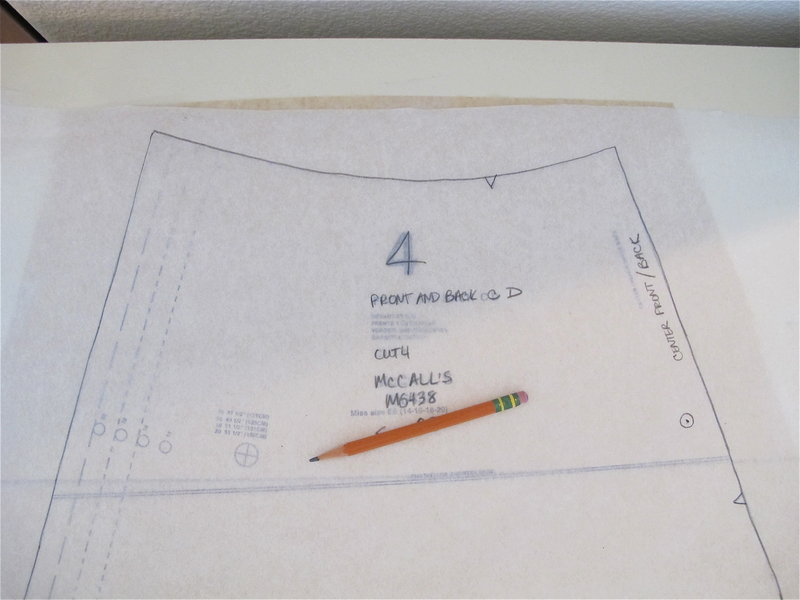 To draw the lines for the various pocket pieces on the skirt piece, I used a combination of freehand and my design ruler. 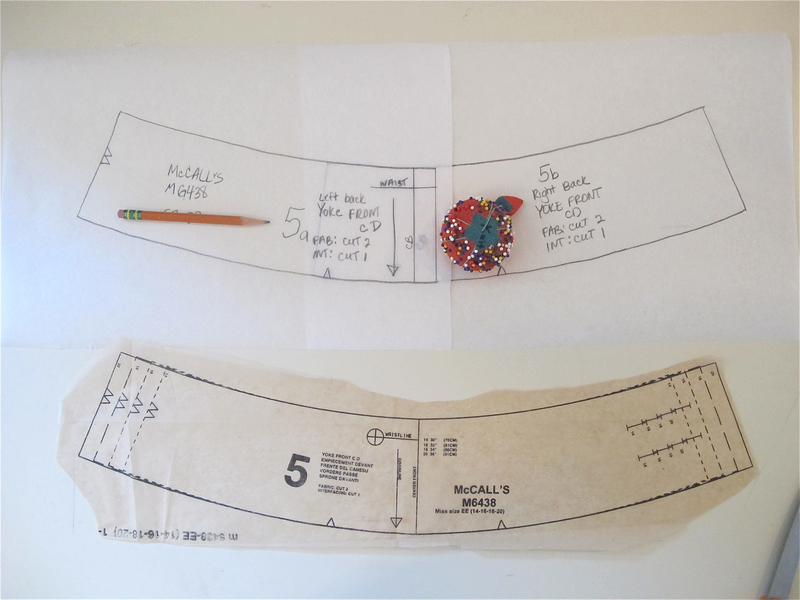 I can use this whole pattern piece for the back skirt pieces and trim off the little slant area for the front skirt pieces. My new slant pocket pattern pieces. 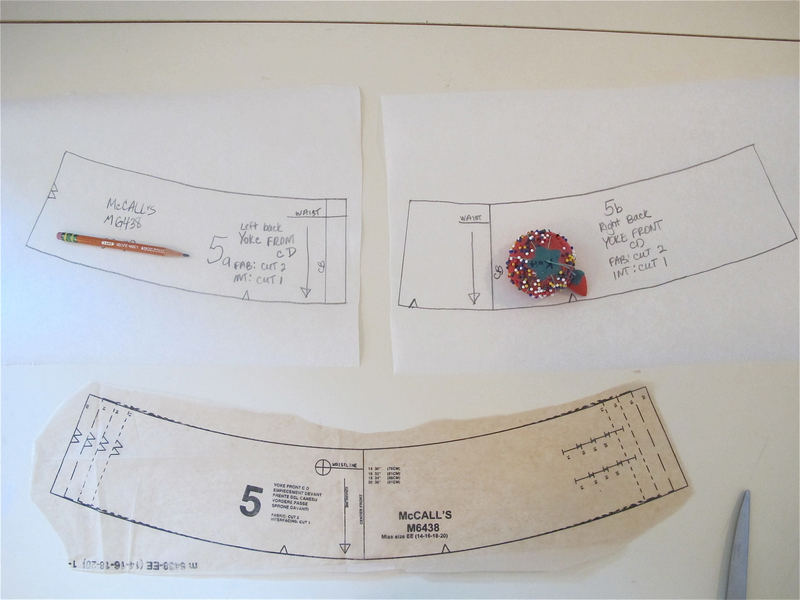 The pattern piece that won’t show on the outside, marked A above, can be done in a lining fabric. I have an idea of using a self piping for the slanted edge. The skirt will be done first as a wearable muslin (some quilting cotton), but I just checked my project bag and found lining fabric, but no zipper. Gemini note (because sewing isn’t everything): I am currently obsessing over the BBC production of Sherlock, gleefully egged on by my friend Kim!